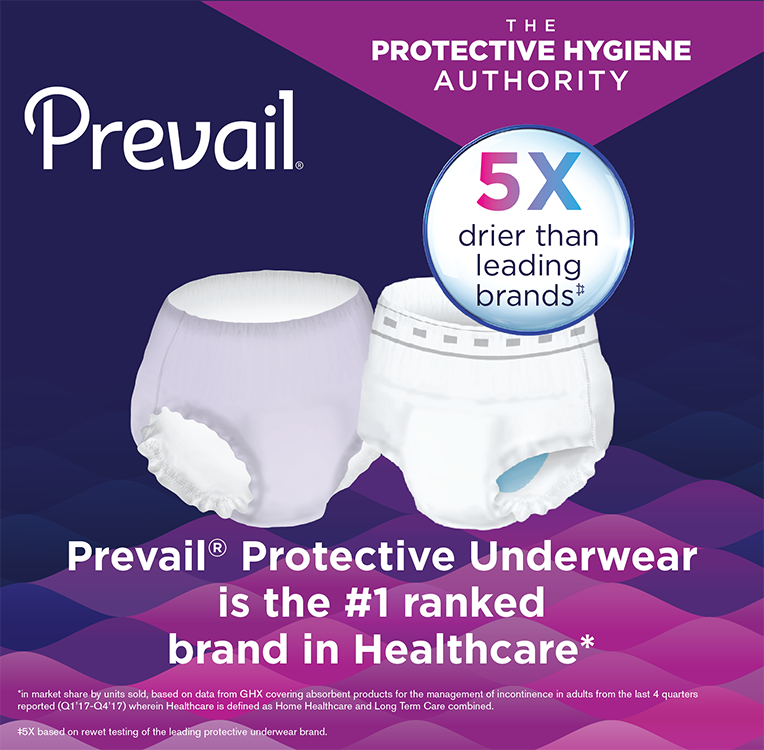 Small-Medium Child Diaper Briefs - 45 to 65 Pounds - SHIPS FREE! Large-xLarge Youth Pant - 65 to 125 Pounds - SHIPS FREE! X-Large Youth Pant 85 - 140 Pounds - SHIPS FREE! 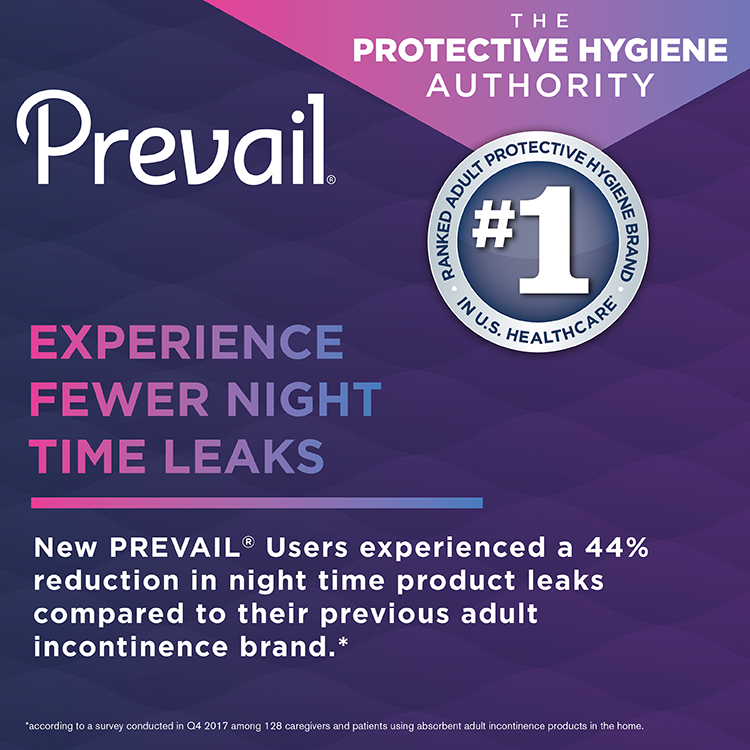 First Quality SleepOvers Youth Pants or Child Briefs are manufactured by First Quality under the Prevail brand. SleepOvers are designed to meet the needs of older children with moderate to heavy nocturnal enuresis or nighttime incontinence episodes. 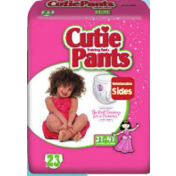 SleepOver Pants are made to fit children between ages of 5 to 7 years old weighing 45 to 125 pounds. 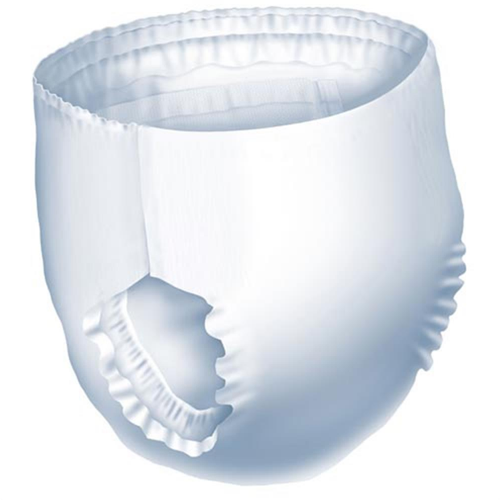 These Incontinence Youth Pants provide moderate to Heavy Incontinence Protection. They are designed with a unisex fit and have stretch sides for maximum comfort. These briefs are hypoallergenic and contain aloe and vitamin E, which keeps the soft and healthy. The MaxSoft core wicks away liquid to help keep the skin dry. The core also neutralizes and guards against odor. The outer layer is cloth-like and gentle and comfortable on the skin. 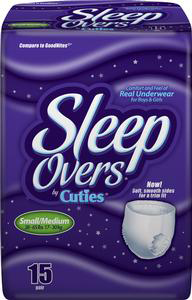 First Quality SleepOvers Youth Pants have leakage control guards. Help to maintain skin wellness and comfort by reducing heat build-up. Soft, stretchable and cloth-like outer fabric for breathe-ability. Ventilated areas allow air to freely migrate to the wearer. Prevents odors from forming for added discretion. 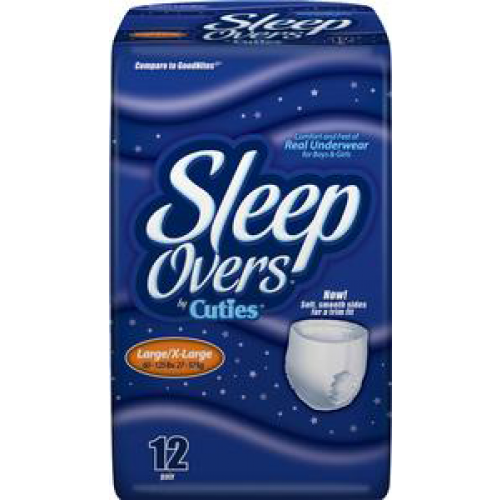 First Quality SleepOvers Youth Pants and Youth Diapers Product Numbers: SLP05301, SLP05302. Size Options: Small-Medium and Large-xLarge. Child Weight Ranges: 45 to 65 Pounds and 65 to 125 Pounds. These pull up pants are true to size. The service is timely and access the product is very easy. I highly recommend this product. The customer service is ideal. 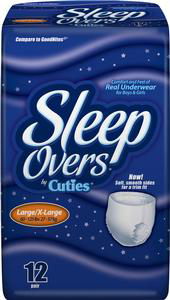 SleepOvers help to prevent nighttime leaks, but are good for daytime as well.